I am so delighted to have so many exciting ceremonies ahead. Each year couples don’t cease to amaze me. This year so many couples have come armed with bags of ideas and thoughts about how they want to shape their ceremonies. This pleases me no end. 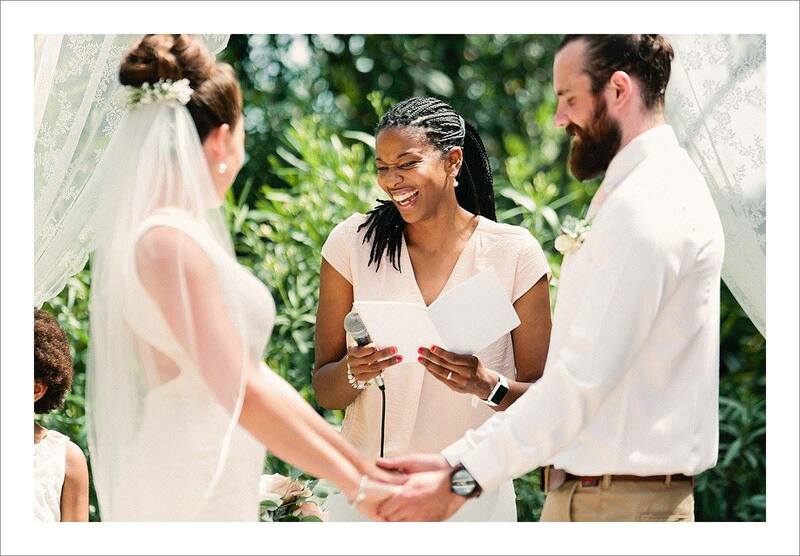 Of course I love to make suggestions and to give guidance when needed, but I love it when couples already have a good idea about how they want to personalise their Humanist ceremonies. I love it when couples are unsure of their wonderful ideas because I can reassure them. When they have doubts I can put their minds at ease and when they are worried, I can help them not to be. No idea is a silly idea, if it’s come straight from your heart. I love it when I lay them a foundation and they build a tower. Ooh, I’m feeling poetic today! So this year, to continue my obsession with the names of my brides and grooms, I will be enjoying ceremonies with two Sarahs, two Michelles (one Michele), a Melissa, a Maria José, Natalie, Naomi and Nicola, just to name a few. Representing the men, I have a Giles, a (I’ve never married a Giles before!) and an Amit (nor have I married an Amit) and I’ve a Brian and a Bruno. I’m not quite sure what intrigues me about the names of my couples but I just love the patterns and seeing their names and how they fit together and roll off the tongue. My trickiest name of the year so far is Briedgeen (sorry! ).I will keep practising and if I spell it as Bree-jean I think I’ll be all right!! I look forward to seeing any new names that come my way, as booking are still coming in thick and fast for this year. And as if I haven’t already got enough to look forward to, I also have a celebrity wedding this May. Ssssssh! I will say no more. I have lots of vow renewal ceremonies again this year too, which is fantastic. Anyone who knows me, knows how I love a vow renewal. Inspirational couples, celebrating their marriage and reaching their fabulous milestones, how could you not? I’m really looking forward to my first early wedding in February. That will be a wonderful way to start the new season, kick starting proceedings in the month of love. Don’t forget to check back on my blog and Facebook page for updates and photos on this year’s ceremonies. If you would like any more information about my services, please don’t hesitate to contact me regarding your ceremony in Spain. I’d love to hear from you.